With a proposal on the ballot to keep ranked-choice voting, the governors calls it 'the most horrific thing in the world.' But the secretary of state says LePage can't stop the results of Tuesday's voting from taking effect. 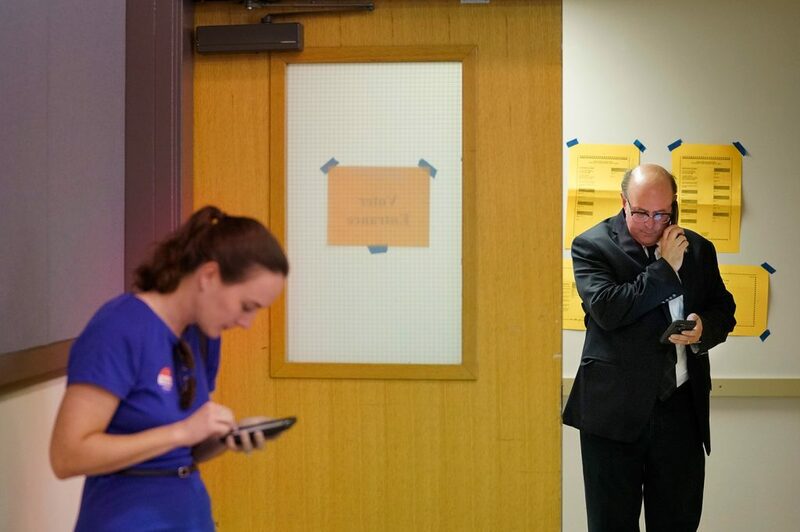 Secretary of State Matt Dunlap talks on one phone and looks at another while Kristen Muszynski, communications director for Dunlap’s office, looks at her phone while the two visit the polls at Merrill Auditorium Rehearsal Hall in Portland on Tuesday. 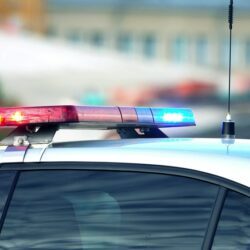 The two fielded numerous calls and emails after Gov. Paul LePage said he may not certify the results of Tuesday’s vote because he opposes ranked-choice voting. Dunlap says the vote will still be valid even if the governor refuses to issue a certification of results. Gov. Paul LePage said Tuesday he may not certify the results from a historic vote Tuesday because he is opposed to a new way of voting. Gov. Paul LePage said he may not certify the results of Tuesday’s vote on ranked-choice voting, but Secretary of State Matt Dunlap said the vote will still be valid and LePage is required by the Maine Constitution to proclaim the results of a referendum. But Maine’s secretary of state said the governor doesn’t certify primary elections anyway, and is constitutionally required to proclaim the results of a referendum. Tuesday was the first time Maine voters statewide used a ranked-choice system, which allows them to submit a ballot that ranks votes for candidates in order of preference. It is being used in both parties’ voting for gubernatorial candidates, a race for the Democratic nomination for the U.S. House in the state’s 2nd Congressional District, and a state legislative seat. There is also a referendum question on retaining ranked-choice voting, which is under threat from a measure in the Legislature. LePage also said, incorrectly, that Maine had ranked-choice voting before and former Gov. Joshua Chamberlain “got rid of it” because it was not working. Secretary of State Matt Dunlap, in an interview Tuesday morning, said the election results will be binding. Maine law states that the governor shall issue an election certificate or a notice of apparent election to each person elected to office, but may not issue a certificate while an election is contested in court. Under the Maine Constitution, the governor has to proclaim the final results of a referendum question within 10 days. Tuesday’s election was a primary, not a general election, which means candidates are nominated by their political parties to run for office, not elected to public positions, Dunlap said. The governor doesn’t certify primary results at all; the secretary of state does. “He cannot stop the nominations from going forward to the general election,” Dunlap said. If LePage doesn’t carry out his constitutional obligation – such as refusing to certify the ranked-choice referendum question – the issue would have to be taken up in court, said Jim Burke, a professor at the University of Maine School of Law. In April, the Maine Supreme Judicial Court ruled that ranked-choice voting was the law of the land and had to be used for the June primary elections. A judge in late May refused a request from the Maine Republican Party to prevent ranked-choice voting in its primary. “It is baffling that on the very same day, the governor would tweet that voting is a sacred right and encourage everyone to get out and vote – while simultaneously threatening that he will refuse to certify those votes,” Alison Beyea, executive director of the American Civil Liberties Union of Maine, said in a statement. When he incorrectly said Maine previously had ranked-choice voting, the governor was apparently referring to a disputed election for governor in 1880 in which three candidates split the vote and the leader in the balloting failed to get a majority, which was then required in the state Constitution. The Legislature eventually picked the leader in the voting to serve as governor, but one candidate asked Chamberlain, as head of the state militia, to lead troops in Augusta to maintain order. Chamberlain, who had been governor from 1866 to 1870, sent the troops home. The Maine Constitution was changed to require only a plurality – the most votes, regardless of whether it makes a majority – to elect the governor and candidates for the Legislature. LePage, in his television interview, said “Maine people continually to be (sic) snookered by out-of-state big money and out-of-state people” to adopt measures like ranked-choice voting, which was approved by referendum in 2016 with 52 percent of the vote. 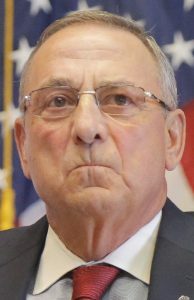 In a 2016 letter to lawmakers, LePage questioned the integrity of that year’s general election and accuracy of the results, raising doubts he would proclaim the outcome of citizen-initiated referendums on ranked-choice voting, legal marijuana and an increase of the minimum wage, among others. He wound up certifying the results. Julie Rabinowitz, the governor’s press secretary, declined to answer specific questions about why LePage was opposed to ranked-choice voting, what would happen if he didn’t certify the results and what LePage meant when he said he would leave it up to the courts. She would not say under what circumstances LePage would refuse to certify the results or whether the governor was referring to the primary election or referendum question.